The A to Z of the Stellenbosch Wine Route. Goodbye long, sunny days and hello cold, chilly winter! 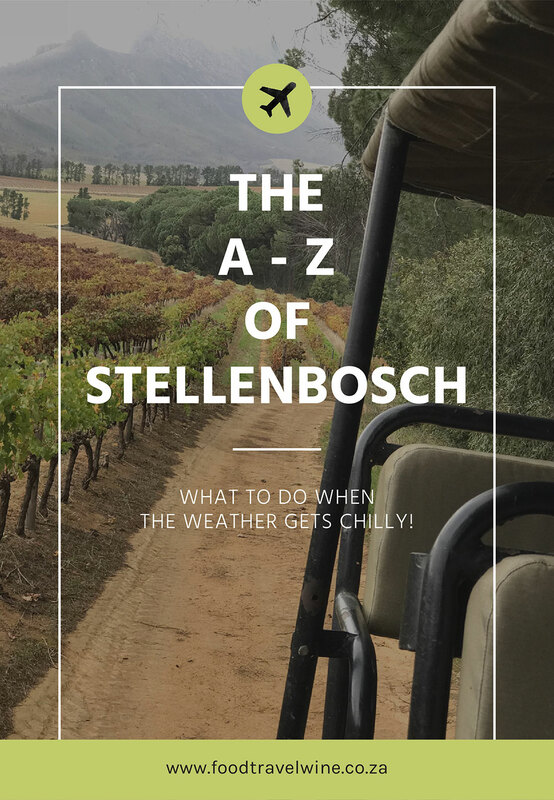 I was recently invited to participate in the compilation of the Stellenbosch wine route’s A-Z WinterWinederland guide. The project focuses on all of the winter activities and warm wine farm havens along this famous route. Here is a look into the estates I had the pleasure of visiting. Onward towards the Somerset West end of the R44, situated in the middle of the ‘Golden Triangle’ of wine growing is Eikendal. Perfect for the whole family, this estate offers far more than just wine tasting. A unique favourite at the tasting room is the famous cheesecake and wine pairing. This experience includes 3 different cheesecakes, baked fresh daily accompanied with Eikendal wines. Rosé paired with a plum berry, Chardonnay with a salted caramel and Sauvignon Blanc with a Lemon zest. It is a must for any foodie visiting the Stellenbosch wine route. Eikendal also has winter weekends covered. From tractor rides to cellar tours, flyfishing to cheetahs, or just a good al fresco Italian meal at Cucina di Giovanni’s, this Wineland gem has it all! The expansive estate also has plenty to keep the children entertained, including a state of the art playground. Tractor rides leave every hour on the hour offering the whole family a scenic tour of the vineyards and farm. Make a weekend of it and stay at Eikendal lodge in one of the 9 beautiful en-suite rooms. Whatever you chose to do, you’ll find something for everyone. Hidden away at the foot of the Hottentots-Holland mountain range, only a 10-minute drive from Stellenbosch, you’ll find Majeka house, a luxury 5-star boutique hotel with 23 rooms. The striking aesthetics of the hotel awarded it the vote of Best Design Hotel Condé Nast Johansens 2017 and it is not hard to see why. Attention to comfort and detail does not go unnoticed. It was a cold and rainy evening when we arrived but the fireplaces in both the bedroom as well as the M lounge and Makaron restaurant ensured we were toasty warm all night. Rich fabrics and plush interiors added to the indulgence of the experience. 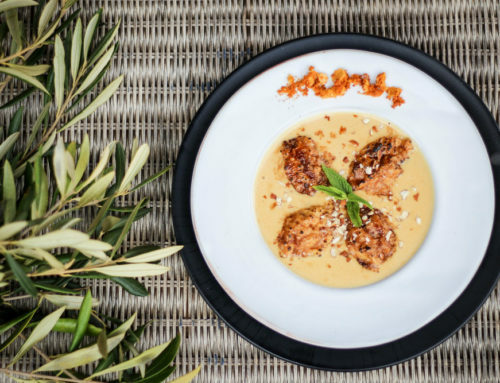 Multiple award-wining Makaron restaurant offers a number of menu options either with or without wine pairings. We enjoyed a 4-course menu with a bottle of our favourite wine, our table right across from the fireplace. The service staff were incredibly attentive to our every need allowing us to unwind and soak in the ambience of this acclaimed restaurant and its diverse menu options. 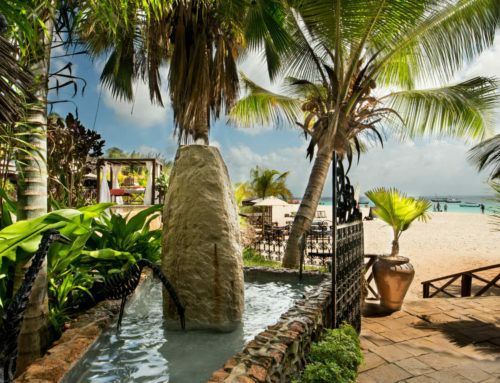 For those wishing to take the experience to the next level, there is a full-service spa with a range of treatments to suit everyone. They also have day packages and winter special so be sure to sign up to their mailing list. Family owned and run wine farm, Remhoogte is just a short drive outside of Stellenbosch on the R44. With beautiful views of the Stellenbosch mountains and a wildlife camp home to zebra, wildebeest as well as a handful of springbok just a stone’s throw from the tasting room, you really get the feeling that you are in Africa. Their award-winning wines all come with a story, a piece of family history attached to each bottle. A highlight was the bold Bordeaux style red blend, Sir Thomas Cullinan named for owner’s great-grandfather, who also gave his name to the Cullinan diamond, the largest diamond ever discovered. What could possibly go better with good wines and cold weather other than cheese? With the weather outside turning chilly, keep warm next to the fireplace whilst you enjoy an artisanal cheese platter alongside your tasting. For the beer drinkers, there is a brewery on site and bottles can also be purchased at the tasting room. For those wishing to spend time in the area, self-catering accommodation is available on-site. The perfect winter get-away with low season rates until September, it is the ideal time to visit this beautiful estate. Named ‘Somerbosch’ as it is halfway between Somerset West and Stellenbosch, this estate feels just like coming home. Cosy fireplaces, good wines, bistro style food and an albino German Shepard named ‘Snow’ to welcome you, it really is the perfect winter spot to unwind and enjoy the cold weather. For the brave, they offer and ice cream and wine pairing. For the sane, the table in front of the fireplace is the best spot to enjoy a bottle of the estate’s flagship red, the Kylix. A fruity, full-bodied blend of Cabernet Sauvignon, Merlot and Shiraz matured in American oak giving it a smoky twist, it perfectly compliments the famous Somerbosch burger. A haven from the winter elements, Somerbosch is a welcome stop on the famed Stellenbosch wine route. Top travel tip, if you are after a more relaxed lunch, the burger is one of the best along this stretch of the R44. A generous homemade beef patty with all the trimmings and crispy potato skins, you will not leave hungry. It was a rainy and wet afternoon but nothing could dampen our spirits as we drove through to gates of Warwick on the R44 in Stellenbosch. The tasting room attendants were full of smiles as they took us through a guided tasting of Warwick’s flagship wines. This farm is full of stories, from the ‘Wedding cup’ that appears on the Warwick label to the brave female winemaker, Norma Radcliffe, who carved her name in the industry back in the 1960’s and is still honoured today. You can choose to sit in the tasting room and enjoy cheese and charcuterie boards whilst you taste, or, when the weather allows, purchase a picnic basket and enjoy it in designated areas around the estate. For the more adventurous, Elton the ranger will take you on a ‘Wine Safari’ to hidden lookout spots around the estate. He likens the grape varietals to the big five and has a story for each one. His tales will mesmerize kids and adults alike. As we head into winter, the picnics will be unavailable until later in the year but be sure to keep an eye out for Warwick’s winter warmers available selected days during the colder months. 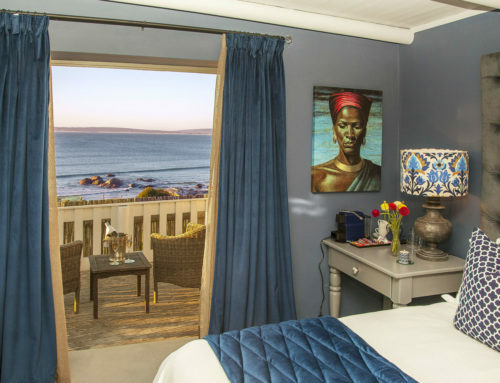 Abalone House and pool villas, Paternoster. The Restaurant @ Gabriëlskloof, Overberg. Blogger, Food Lover, Wine Drinker, Explorer. Steenberg champions a year of sustainable, traceable fish with ABALOBI. Picnic at Paul Cluver, Elgin. The Dark Horse, Kloof Street. The Tasting room and Bistro, Glenelly Wine Estate. Join Allée Bleue estate in celebrating May Day.